If signed by Gov. 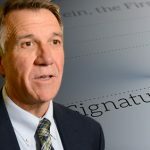 Phil Scott, Vermont will be the third state to regulate daily fantasy sports for this year and the 10th state to legalize the offering. Vermont attorney general's office says daily fantasy sports is gambling; Maryland AG says legalizing DFS may require voter referendum. Loto-Québec tix online; ALC ink Sci-Games; could lottery reform Guns N’Roses?